We had a serious Elf Fail this week. I’m not talking about the kind where we forgot to move the elf. I’m talking about the Elf serious messing up with my kids and getting put in the proverbial dog house. This post contains affiliate links. It all started innocently enough. I thought it would be fun to get our elf Peppermint Stick to draw on our family portrait. While the mustaches are cute, I thought the boys might not like having their faces drawn on. So I grabbed a red marker and drew adorable Santa hats on all of us. I placed Peppermint Stick next to the photo holding the red marker. The next morning, the boys were seeing red all right! No one is allowed to draw on the furniture and walls in the house. Peppermint Stick broke the rules. And to top it off, he had drawn on our picture!!! This elf was in some serious trouble. I was told, in no uncertain terms, to clean the picture immediately. Once that was done, we had a mini talk with Peppermint Stick about following the rules of the house and respecting other people’s stuff. Wow! Who knew such an innocent act could turn into a serious infraction. Then again, if the kids had drawn on the photos, we may have been having this mini talk with them. 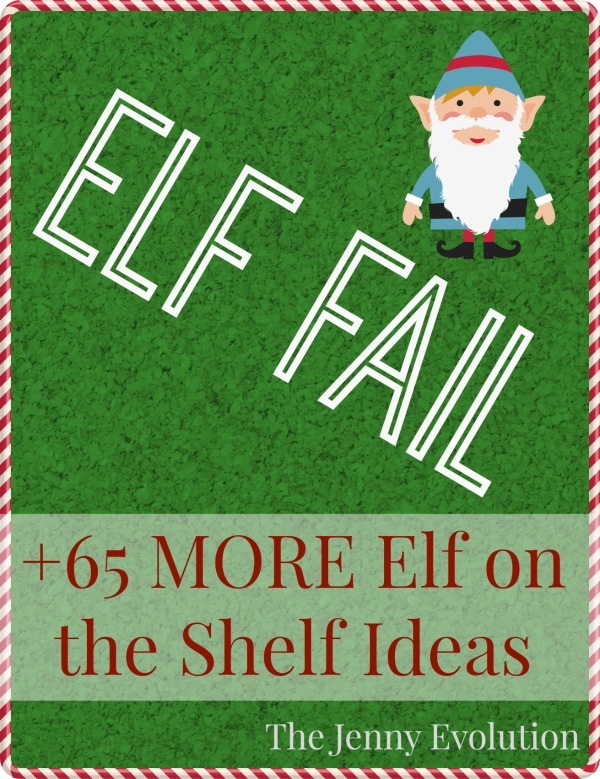 Have you had an elf fail? 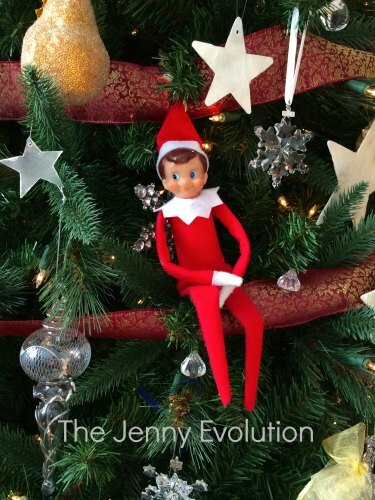 By the way – Do you need your own Elf on the Shelf? He (or she) is easy to get. Just click HERE. 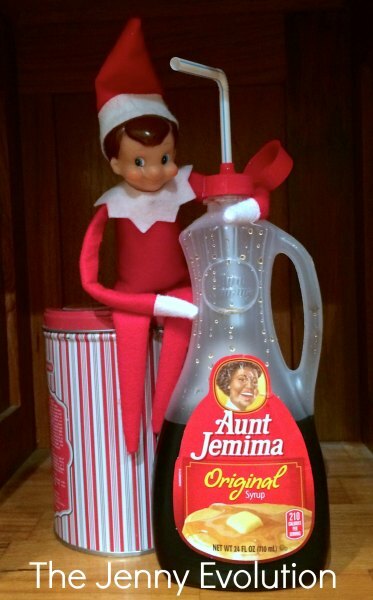 And if you’re confused by this whole Elf on the Shelf thing, read up on it HERE. What do elves drink? Why syrup of course! This set up is one of those that looks fancy but literally took me all of 10 seconds. Just pop a straw into the syrup bottle and you’re good to go. You know it must have been a wild night if someone is swinging from the chandelier. Peppermint Stick brought a host of peppermint sticks (aka candy canes) with him from the North Pole from the boys. They are still working off the sugar high. The elf hadn’t visited “Mama’s Tree” yet. So Peppermint Stick popped over to my tree to say hi. My son has a huge tree advent calendar we use every year. This evening, Peppermint Stick stuffed himself into one of the pockets. 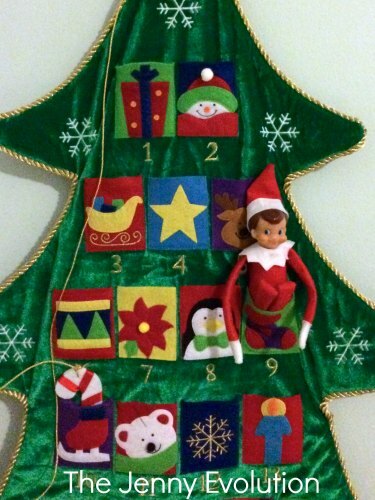 My seven year old loved waking up with the elf in his room. We have an old kitchen clock. (Yes. It actually works, and I wind it up every week.) 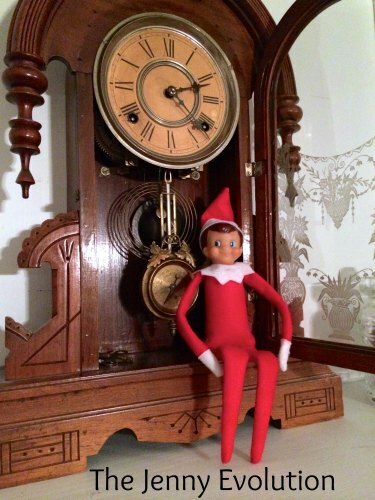 Peppermint Stick thought he’d be cheeky and sneak into the clock, stopping it for the day. The Elf understands he is now allowed to set up shop in Mom and Dad’s bedroom. We need our sleep after all. However, Dad was traveling all week, and Peppermint Stick must have thought I felt a little bit lonely. One night be built a bed on my night stand and used a tissue for a blanket. Not every night needs to be a creative masterpiece. 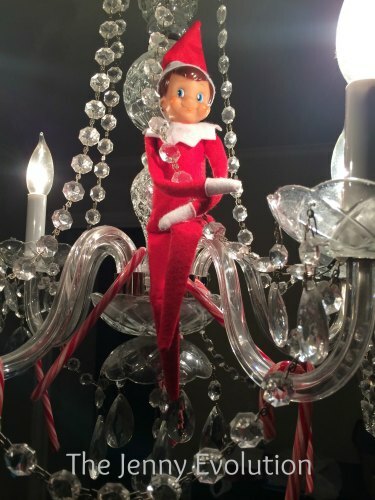 Just moving the elf to a fun new spot can be enough for kids. Here, Peppermint Stick has propped himself up on the corner of our wedding photo. Awwwww. You’ve taught them well! Peppermint now knows his boundaries! That is one clever elf. Now if you could just teach him to clean and cook. LOL! Now you’ve got me thinking…. I’m kind of happy, though, that this phenomenon only became popular once my kids were too old for it. I get easily creeped out by dolls and can’t imagine the nightmares I’d have over this one watching us! Ha! 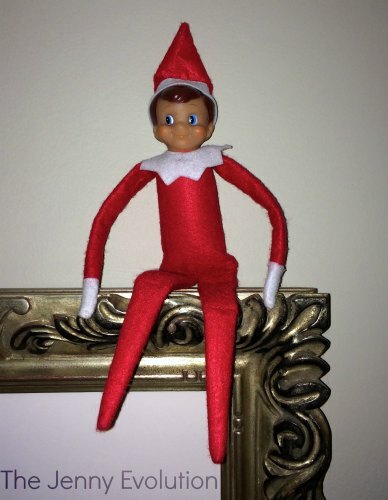 I hear from a lot of people that they think the elf is creepy. But if your toddler was as excited as mine are, it wouldn’t take much to get over it. The biggest pain is actually remembering to move the darn thing. We had an elf fail too. I had the best intentions, but our elf brought a note saying that it would be nice to leave our 2 toys our daughter didn’t want anymore to give to kids who didn’t have any toys. The spirit of the season and all that. Well, my 4-year-old cried for half-an-hour that morning. “Why does Ella (elf) want to take my toys?” All the explaining didn’t help! lol! So much for the happy memories I was going for! Ah. Your heart was in the right place. 4-year-olds just don’t get it yet at that age. I think I started working with my son when he was five to donate any toys he really didn’t need because there were mommies and daddies who couldn’t afford toys for their kids. The thought that there were kids out there with no toys made him clean out his closet! It couldn’t have been too big of a fail or he wouldn’t have done it. Hilarious! At least you kids know the rules. 🙂 We have an elf, but my daughter is only two, so she doesn’t “get” it. We will start to move Ms. Elf around next year. I am worried about having to remember to do it, but my husband has already been coming up with ideas, so I think I will leave it up to him! 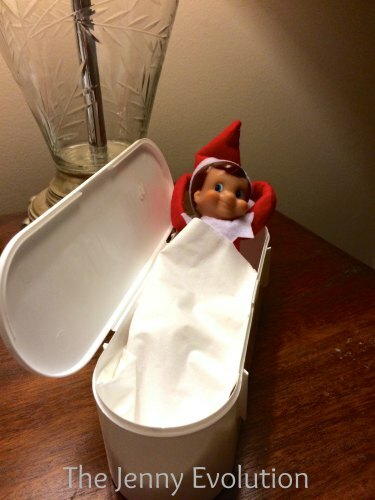 OMG, we definitely do Elf on the Shelf, and I haven’t had a fail yet. Freddie seems to get away with EVERYTHING in our house. Hubby feels that Freddie should be a good elf, and I feel that a naughty elf is more fun. 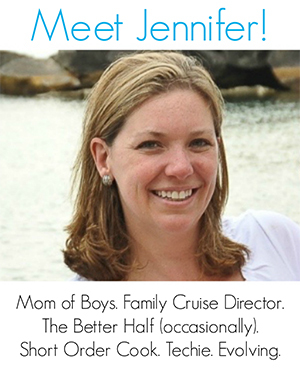 I haven’t had a fail with the kids yet… I’m sure that it will be coming really soon though.